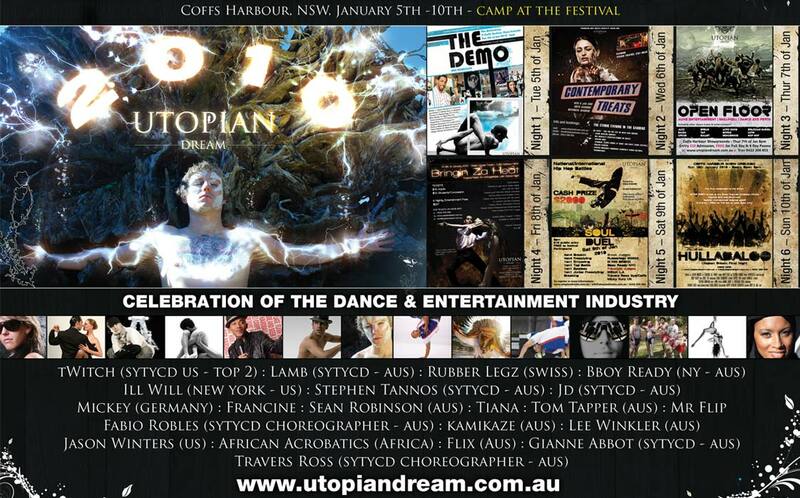 The 2nd annual installment of the Utopian Dream after it’s success the previous year. The 2010 branding consisted of large banners, posters for the nightly events, social media promotions, magazine advertisements and brochures. The 2010 again hosted leading national and international choreographers. One of them included tWitch, a finalist from from SYTYCD USA.